McALLEN — Two months after a gun discharged inside a grocery store and injured a woman, a Pharr man faces a federal firearm charge, according to court records. David Meza-Lopez appeared before U.S. Magistrate Judge J. Scott Hacker on Monday in connection with a federal firearm charge related to an incident in January in which one woman suffered a gunshot wound while she was grocery shopping, according to a criminal complaint filed against Meza-Lopez. Authorities arrested Meza-Lopez, who resides in Pharr but is originally from Reynosa, Mexico, March 5 nearly two months after they issued an arrest warrant for the man. It is unlawful for someone without legal status to possess a firearm. 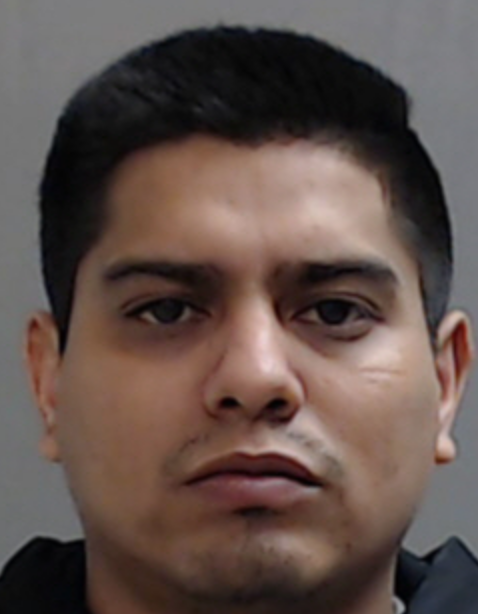 He was named as a suspect in an incident Jan. 10 inside the H-E-B store in the 1300 block of South Cage Boulevard in Pharr when a bag containing a handgun discharged and injured a woman. That day a round from a handgun discharged and struck 22-year-old Sandra Gonzalez, who was shopping in the store near the produce section. Other shoppers are shown in the footage approaching Gonzalez while Meza-Lopez can be seen picking up the bag and leaving the area. Pharr police officers later retrieved the handgun, a Davis Industry .38 Special (two-shot), model, in a “cold beverage container,” inside the store. Meza-Lopez, who was interviewed by federal agents following his arrest, stated the shooting was an accident and that it was his boy who had dropped a black handbag, causing the handgun inside to discharge and strike Gonzalez, the complaint states. Meza-Lopez said “that he was going to turn himself in but had been caught by the Pharr Police Department before he could do it,” the complaint states. He claimed ownership of the black handbag but stated the gun was not his. Ismeray Rivera, who was also arrested following the January incident, faces charges at the state level that include child endangerment and failing to report a felony, according to county records. Meza-Lopez, who does not have legal status to be in the country and was deported in December 2014 on an unrelated gun charge, is set to appear in federal court Wednesday morning where a judge will determine whether or not he would be released on bond or remain in custody pending a trial setting.